This deep conditioning daily treatment balm transforms even the driest skin, repairing moisture-depleted elbows, knees, heels and cuticles. With a powerful infusion of organic shea butter and coconut oil, the Concreta rehydrates and restores skin’s natural softness. An infusion of paracress plant extract smoothes, plumps and firms skin, with visible results starting on the very first use. 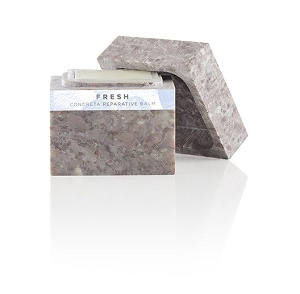 Lovingly hand poured into artisan-crafted soapstone, each exquisite Concreta is unique.